Home Tags Posts tagged with "mascara"
A summer wedding has the advantage of making the weather a little more predictable, but can be a bit tricky for brides and bridesmaids that are no longer in their twenties. For many women, the idea of skipping down the aisle in a short, sleeveless dress is long gone, given the appearance of varicose veins, cellulite and sagging skin. Don’t let these fears dictate your choice of wedding dress! Instead, make sure to do these 10 things before your summer wedding so you can feel fabulous on your big day. 1. Detox naturally by eating right! The body becomes less forgiving as we get older, meaning that binge eating due to wedding stress is a sure fire way to pile on the pounds. Avoid the need for alterations to your dress by adopting a healthy diet as soon as that engagement ring is on your finger. Even better, make sure you and your spouse-to-be are eating right as soon as you start cohabiting! By choosing a healthy, high-fibre, nutrient dense plant-based diet, you can keep the calorie count low, cravings in check, and support your body in the face of stress. What’s more, by focusing on fresh fruits, vegetables, nuts, seeds, legumes and whole grains, you’ll be giving your body everything it needs to detox naturally. This doesn’t give you carte blanche to guzzle champagne without consequence, but it could help prevent a wedding day skin breakout. Getting a natural tan in the UK can be a little tricky, but most brides (summer or otherwise) would rather not look ghostly white at their wedding. Skip the risk of skin cancer, sunburn and strap lines by opting for an airbrush tan. Just make sure to book in advance and test out your colour, with plenty of time for the tan to dry before you get into your white dress! Crying at your wedding is pretty much inevitable, but that needn’t mean you look like a panda in your wedding pictures. Get your eyelashes dyed in advance and choose a waterproof mascara that won’t run as you sob through your vows. For women with crow’s feet, waterproof eye make-up is a must! A long dress or a tailored suit is often the wedding outfit of choice for many older brides. If the only reason you’re considering these instead of a shorter dress is because of the desire to hide your varicose veins, though, it’s time to book an appointment with a respected vein surgeon. 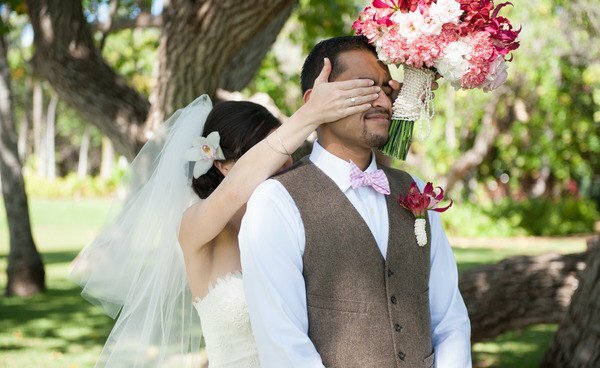 Give yourself the option to wear whatever you want on your wedding day. Get safe, effective varicose vein treatment 6-8 weeks before the big day so you have sleek, smooth summer legs to skip down the aisle. Summer weddings call for a light, carefree sun-kissed hairstyle, so talk to your stylist about highlights, ombre or balayage as options for your wedding ‘do. Exfoliation is a great way to reveal fresher, healthier looking skin for the big day. Just be sure to exfoliate thoroughly 7 days before the wedding, so as to give your skin a little time to calm down after sweeping away dead, dull skin cells. The decline in collagen synthesis after the age of 30 can lead to increased cellulite that makes many women self-conscious. If this skin issue is a factor in your choice of wedding dress, treat yourself to an effective moisturiser containing pomegranate, vitamins C, E and A to help support healthy collagen synthesis and skin hydration. And, be sure to book yourself in for a spa treatment complete with seaweed wrap before your big day to help improve the tone of your upper arms and legs. Maintaining muscle tone while planning for a wedding can be a bit tricky, especially when you’re trying all those wedding cakes, choosing wine, and skipping the gym to check out a venue. Find ways to incorporate quick-fix body toning into your day, such as taking the stairs when running errands, lifting (light) weights while you wait on the phone, and choosing a bachelorette activity that is fun and active, like going climbing! Poorly hydrated skin is more likely to look wrinkled, saggy and lifeless, especially in wedding photos after being under bright lights all day. Piling on thick make-up can also accentuate dry skin by creating a caking effect. Keep the caking to the caterers by ensuring that you moisturise regularly in advance of the big day and use a lightweight moisturiser before applying any make-up. And, appoint one of your bridal party to be your hydration consultant for the day, bringing you water and keeping you hydrated and happy so you can dance the night away. Bunions, corns, callouses and dry skin can seriously undermine your wedding look. Treat your feet to a pedicure at least once a month while you plan your wedding as you’ll be on your feet a lot running wedding errands, and on the day itself. Summer weddings cry out for summer sandals, so polish those nails and buff that skin so you can stride down the aisle with supreme confidence. Kelly Brook has given fans a slight insight into how she keeps herself looking stunning in a new video clip. Kelly Brook, 33, took to Keek – the popular video sharing site – on Friday to show a quick stream of her beauty regime. With the assistance of her trusted make-up artist, she gave fans a first-hand glimpse of her having her smokey eyes created. Sitting back in her make-up chair, Kelly Brook relaxed as an artist carefully added mascara and eyeshadow to her big brown eyes. Holding her camera impressively still as the team got to work, the Celebrity Juice babe looked delighted with the outcome. Kelly Brook playfully sang as she had her features enhanced and chatted cheerfully to her entourage. Her hair was also pinned up during the make-up process as she underwent a full beauty transformation. Not content with being pampered by her beauty team, cheeky Kelly Brook also managed to get a foot rub after revealing her Louboutin’s had been pinching. “My Loubis hurt my feet…” Kelly Brook said in an earlier Keek before receiving the soothing treatment. The presenter has just completed a hugely successful stint as a guest team captain on hilarious ITV2 comedy game-show Celebrity Juice. Kelly Brook was drafted in to keep Fearne Cotton’s seat warm after she temporarily left the show to give birth to her first son, Rex, in February. Having taken over during Fearne Cotton’s maternity leave, Kelly Brook has proved a hit with fellow panelist, Holly Willoughby and the show’s host, Keith Lemon – as well as being a new favorite for fans of the show at home. With her last appearance on the show airing last Thursday, Kelly Brook has not wasted time in finding further work. “Guest judging on @shop_aholic_ today with the lovely @Brixsmithstart @officialJasonG @hollycandy pics to Follow 😉 x” she tweeted earlier on Friday, leading to her make-up sharing keeks. An advert for mascara by Christian Dior starring Natalie Portman has been banned for misleading women into thinking it would give them “lusher lashes”. The magazine advertisement, showing Natalie Portman staring into the camera with well defined eyelashes, was challenged by rivals L’Oreal who said the photo exaggerated the effects of the mascara. The ad boasts “the miracle of a nano brush for an unrivaled lash creator effect. 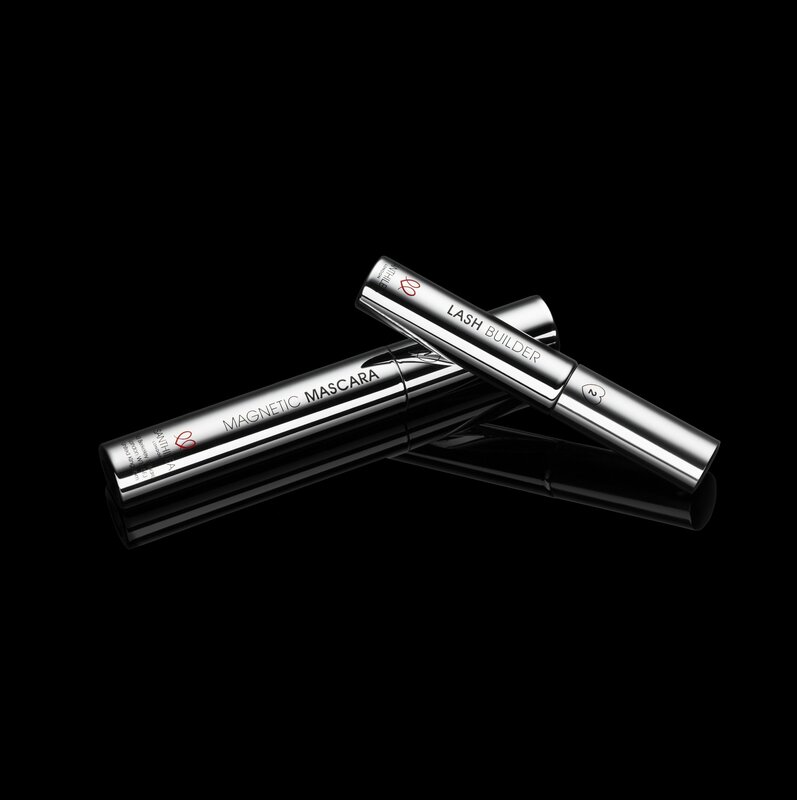 It delivers spectacular volume-multiplying effect, lash by lash”. Dior admitted that the image had been digitally retouched, saying it was done to “increase the length and curve of a number of lashes” as some of the actresses eyelashes were “missing or damaged” in the original photo. They said that they believed the “retouching” was minimal. Bosses at the Advertising Standards Authority (ASA), however, banned the ad from being used again, saying it was misleading and exaggerated the effects of the mascara. This is not the first ad to be barred by the ASA, who act as the UK’s independent regulator of all media. ASA banned two Channel 4 ads for My Big Fat Gypsy Wedding earlier this month for being offensive, and have previously banned ads by Virgin media, Homebase and Lancome skin care. They stated about the Dior advert that: “The ASA understood that the digital retouching was intended to separate/increase the length and curve of a number of Natalie Portman’s lashes to replace/fill a number of missing or damaged lashes, to increase the thickness and volume of a number of her natural lashes and, primarily, to stylistically lengthen and curve her lashes. “We noted that the ad had therefore used post-production retouching on an area – namely the eyelashes – which was directly relevant to the apparent performance of the mascara product being advertised. It added: “We had not seen evidence of the product’s effects on Natalie Portman’s lashes where there had not been any post-production retouching and therefore considered we were unable to assess the effects of the post-production work on the image featured in the ad. “We were concerned that we had not seen evidence that the visual representation of the product’s effects on Natalie Portman’s lashes, as featured in the ad, could be achieved through use of the product only, particularly as we understood that post-production retouching on the lash area had taken place. Dior chiefs said it had not received any complaints about the ad from customers and said the ad “did not go beyond the likely consumer expectations of what was achievable with the product”. They said the advert was a “stylized and aspirational ad intended to convey the luxury image and allure of the Diorshow Mascara” and that “consumers expected images used in ads for beauty products to have used professional styling and photography”. It added that eyelashes were “by nature generally fine in appearance and various lashes or elements of lashes could be nearly invisible to the naked eye”. Magnetic Lash created by Santhilea,which uses no airbrush trickery in their adverts, promises: what you see is what you get. Magnetic Lash isn’t actually magnetic, but it works like this. Apply a coat of mascara, then follow up with tube number two, which contains cotton candy-esque fibres which you gently roll down the length of the lash, so they stick to the wet mascara. Add a final coat of mascara and voila, lashes are instantly lengthened. You can repeat steps two and three as many times as you like, depending on just how long you want those lashes! The product is not available for a few weeks yet, but you can join a waiting list at santhilea.com.